Cape Discoveries Tours will take you on a guided tour through a variety of coastal Landscapes and Seascapes from wild windswept Capes to protected bays of turquoise waters and white sand beaches with an abundance of wildlife on the way. The Tours take in Coastal Reservers, Cape Nelson State Park, Discovery Bay Coastal Park, Discovery Bay Marine National Park and Mt Richmond National Park. The geological features through the area are unique to the Australian coastline with the highest cliff face on the Victorian coast at Cape Bridgewater. The coast is made up of a series of extinct volcanos and capped by limestone from ancient dune systems now eroded by the relentless Southern Ocean and the weather that comes off it. The waters off the coast hold the secret to its phenomenal array of marine life, The Bonney Upwelling brings up nutrient rich water from deep off the continental shelf and from November to May intensifies with the south-east winds driving the upwelling westward along the coast as far as Kangaroo Island. On a good Upwelling year you can spot the magestic Blue whale from the Capes along with Common Dolphin pods and many sea bird species feeding on the abundant krill and fish species. The coast also has the only mainland breeding colony of Australasian Gannets which are a feature on the tour and the only mainland breeding colonies of Australian and Long-nosed Fur Seals. On the tour we are on Gunditjmara, Koonang Mirring Sea Country and Bocara Woorrowarook Mirring River Forest Country, with around 40,000 years of occupation the area has a rich cultural history. Portland’s working harbour with the largest export of radiata pine log and wood chip. Point Danger Coastal Reserve, get up close and personal with Australia’s only mainland colony of Australasian Gannets. Lawance Rocks, Australia’s largest breeding colony of Australasian Gannets. Cape Sir William Grant and Grant Bays volcanic coastline. 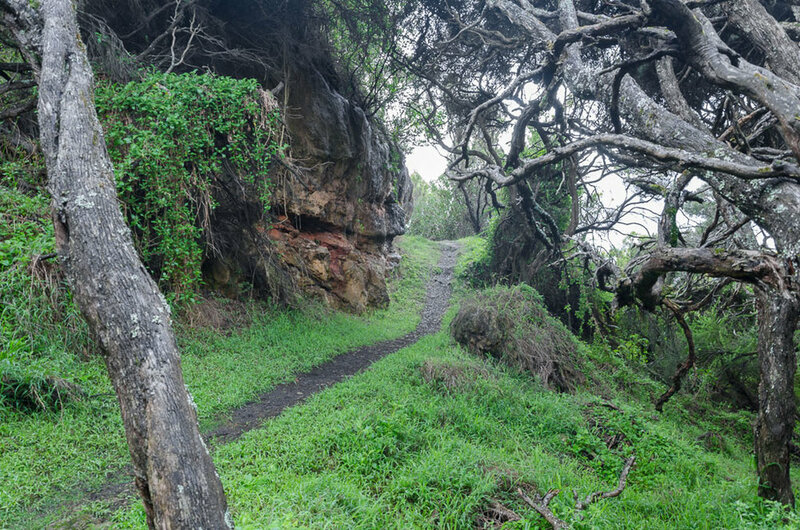 Walk amongst gnarled, wind swept moonahs (Melaleuca lanceolate) in this enchanting section of the Great South West Walk. Cape Nelson State Park and the Cape Nelson Lighthouse sitting on the rugged limestone cliffs over volcanic basalt ledges dropping into the southern ocean where whales can be seen throughout the year. Murrels Beach the eastern end of Bridgewater Bay with its beautiful white sand beaches. View Koalas in their natural environment resting and feeding in majestic old manna gums in a private setting. 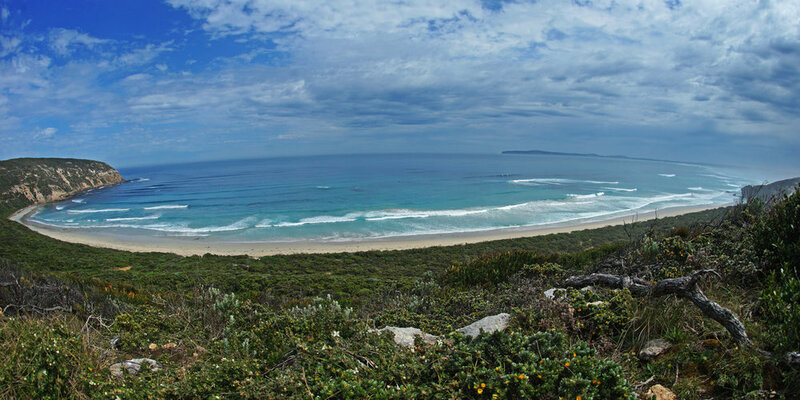 The stunning Bridgewater Bay area with its clear turquoise waters and quiet windswept beaches. The caves are a network of large limestone caves and rock shelters overlooking Discovery Bay and Bridgewater Lakes. Cape Bridgewater and the Blow holes where the southern ocean unloads its power straight into ancient basalt cliffs. The kast formations known as the Petrified Forest some of the best examples in Australia and often seen Eastern Grey Kangaroos and Swamp Wallabys along the walking trail of the Great Southwest Walk. Discovery Bay lookout overlooking Descartes Bay to the south-east and out along Cape Duquesne all sitting in the Discovery Bay Coastal Park and Discovery Bay Marine National Park. Bridgewater Lakes and its pristine clear spring water amongst the coastal dunes of Discovery Bay along with Tarragal Cave overlooking the lakes and Discovery Bay. Mt Richmond National Park with its spectacular spring wildflowers, open heathland and abundant wildlife in unspoilt surrounds.